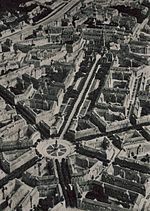 ^ Urban Sores: On the Interaction Between Segregation, Urban Decay, and Deprived Neighbourhoods By Hans Skifter Andersen. ISBN 0754633055. 2003. ^ The Power Broker: Robert Moses and the Fall of New York by Robert Caro. Page 522. ^ White Flight: Atlanta and the Making of Modern Conservatism 互联网档案馆的存檔，存档日期2007-06-10.